Chelsea Penthouse — KATCH I.D. 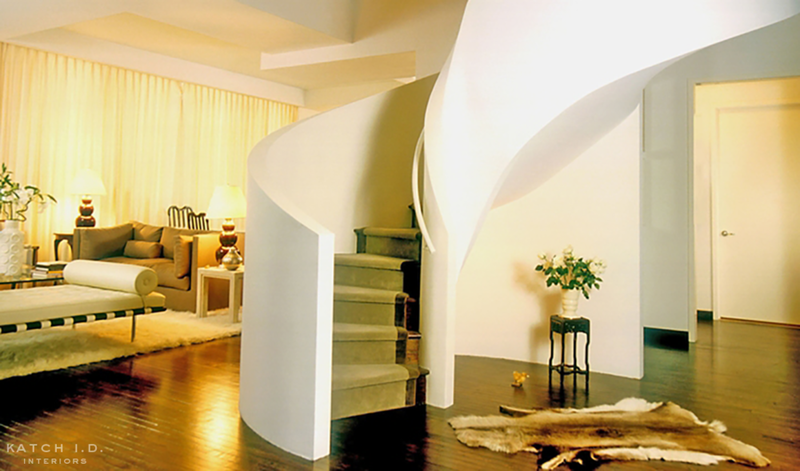 This “white box” duplex was renovated to include a newly designed dramatic spiral stair, and was layered with textural wall coverings to serve as a backdrop for a growing contemporary art collection. An array of antique and contemporary furnishings round out the aesthetic and provide both practical and luxurious seating for frequent entertaining. This is a shining example of an apartment that was designed years ago, and still looks fresh today.